I am so ill, I am at a point where I would happily go in and see a doctor and beg for digestion-destroying antibiotics, if only I had a general practitioner (or even a medical history at my hospital's internal medicine department) that would see me. Alas and alack, while I have a doctor specializing in uniquely female anatomy and a surgeon, I don't have a generalist. And I haven't been willing to beg: I know that first-time appointments are very thorough, nearly impossible to schedule, etc. etc. etc. Ah, privatized medicine. How glorious it is. Somehow, I don't look as bad as the fruit they are trying to pass off as tomatoes at my local greengrocer. What odd, pink eggs those are. I don't know what laid them, but I do not believe they were grown within a thousand miles of here. During my medicine induced daze, I wrote a couple of items which didn't belong here, or anywhere else in particular. They now have their own pages. They are a list of things I have in common with my Cousin, Ollie, which is reasonably self-explanatory, and The horsewomen of the apolocalypse wear low-rise jeans, in which I rant about clothes. (I'm going to pretend that the DayQuil is what made me go on a nutritional rant today against a few of my fad-dieter co-workers, but that's a story for another day.) Do not believe that this new segregation of non-food topics to other pages will continue! Though it might, now and then, when the mood strikes. I'm posting two galleries of experiments, and will update the rest of aegraves.com to reflect the new work soon. 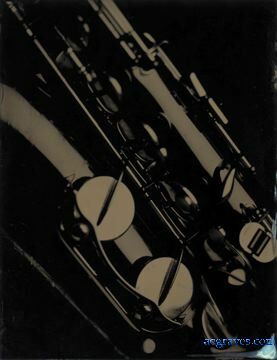 I've posted a sample of one of the galleries in the past: it is aegraves.com: protea, and the latest is aegraves.com: blow, which are details from musical instruments, objects which I would like to photograph in many different ways, but am just beginning to examine. The images are made the way tintypes were back in the Civil War. Each print is hand-poured, exposed in camera, and then developed before the sensitizer can dry. Each is one of a kind - there is no negative, it is more like an instant metal positive. (I'll wind up explaining that in more detail on my photography site.) I'm still getting the swing of this: I will make "brighter" images in the future also, but like to wallow in the poppy contrast of these prints. More on this when I am healthy. Which I hope will be very soon.